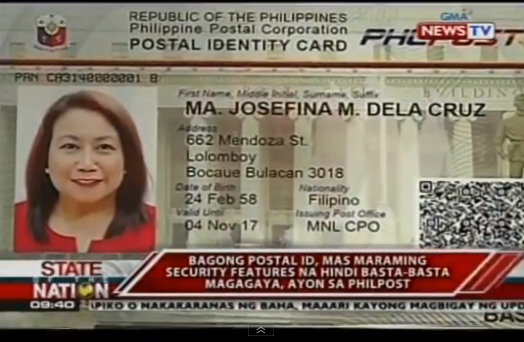 The Philippine Postal Corporation (Philpost) launched its new security-featured identification card. The card will now be recognized like any of the government identification cards available to the public starting this month because of its new security features like a QR code that could be verified for its authenticity, the magnetic strip at the back, and its holographic image that will be the hardest to copy. 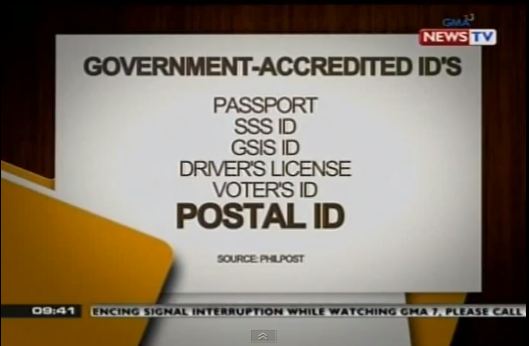 There are four to five IDs that most business and government institutions recognize and PhilPost ID is not one of them. It is paper made and it can be faked and used for identification theft. The new ID, which will be ready for issuance this month didn’t clarify in the news report where people can initially register for it, which includes four Philpost offices around Metro Manila. The ID will cost between PhP400 – PhP800 each and those with the old PhilPost IDs can exchange them for the new one at a discounted fee. Of course, this does not include the fake ones because your PhilPost IDs should be registered and verified in their data base. Crossroads Hostel Manila will recognize this new ID as early as May 2015 when the first ones do arrive and ready for use by local residents. The ID is available for all ages and you only your birth certificate and Barangay certificate are required to register for this new card. PhilPost will be ready to gather more registration by January 2015 when all PhilPost Offices are equipped with the networked registration system. Crossroads Hostel Manila prides itself of maintaining strict security compliance by accepting only valid Government Issued IDs as shown below in a screen shot from the same report GMA News TV shared. We will not accept Check Ins without proper identification. If you want to know more about this new ID, you can call their customer hotline at +63 (2) 854 0888 or you can fill up a form using this link. GMANEWSTV broke this news and CHM picked it up in the interest of our guests. Previous Post FAQ: What Should I Prepare When I Check in? Next Post Philippines Hostel WINTER SALE now available! The Philippines, Perfect Winter Vacation Destination?